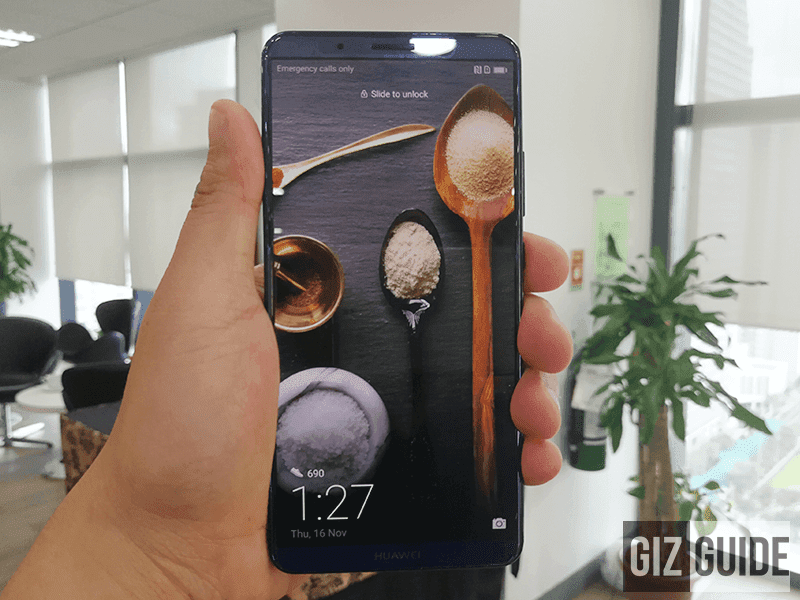 Recently, Huawei launched the Mate 10. It is part of their flagship Mate series with the latest specs. Now, Smart has them ready and available for you. The Mate 10 is now available at Smart with their post paid plans. Starting at Plan 399, you can get the Mate 10 immediately coupled with the Smart's best packages. The Huawei Mate 10 has a gorgeous 5.9 inch QHD display, dual Leica cameras, 64-bit HiSilicon Kirin 970 octa-core processor with NPU running at 2.5Ghz, 4 GB of RAM and 64 GB of expandable storage. The dual cameras at the back has a 20MP monochrome sensors and a 12MP RGB sensor with both having the Huawei signature Leica lens. It also has an 8MP sensor for selfies as well. It is running Android 8.0 Oreo with EMUI 8.0. It has WiFi, LTE connectivity, USB Type-C amd 4000 mAh battery with 5A Super Charge capabilities. Depending on the Smart Postpaid Plan that you choose, the cash out and monthly fee that you have to pay differs. At Plan 799, for instance, you will pay a cash out amount of PHP 1,799. Then you will pay PHP 1,799 monthly (PHP 1,000 for the device + 799 for services) for 24 months. After that, you will only have to pay the monthly services because you will own the Mate 10 after 24 months. More information is available at Smart Store website.